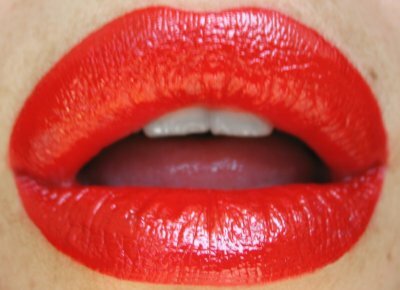 Red lipstick is one of the most popular lipstick colors. It flatters many complexions and, when applied well, has a classic look and feel to it. Best of all, every makeup line that sells lipstick sells it in red! The first modern lipsticks were red. Cosmetic pioneers like Sarah Bernhardt applied carmine dye to their lips to make them redder. In the 1900s, a synthetic form of carmine dye was fused into an oil and wax base, making the first red lipstick as we would recognize it today. In the 1940s, matte red was the preferred lipstick color. This was also a popular color throughout the 1950s, though the 1960s saw pink and white lipstick become more popular than red. Today, every makeup brand that sells lipstick sells red lipsticks, as well as blended colors like "berry red," a reddish-pink color, and very dark burgundies.